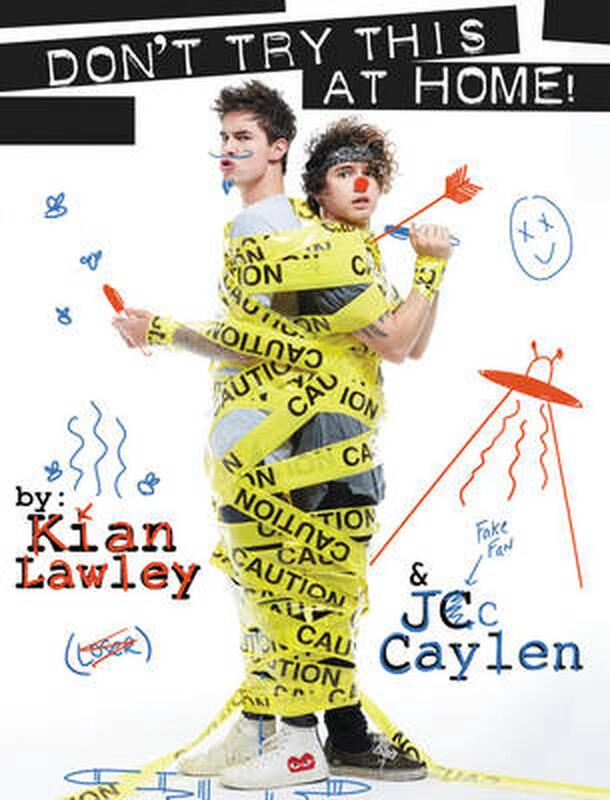 From personalities and entertainers Kian Lawley and Jc Caylen comes a completely wild and entirely true account of their rise to internet fame: Kian and Jc: Don't Try This at Home! From personalities and entertainers Kian Lawley and Jc Caylen comes a completely wild and entirely true account of their rise to internet fame: Kian and Jc: Don't Try This at Home! More than 7 million YouTube subscribers, 5 million Twitter followers, and 5 million Instagram followers cannot wait for this sometimes hilarious, sometimes awkward, and always crazy collection of stories, interviews, and exclusive photos. Fans of their YouTube channel, KianAndJc, can expect an intimate look at the comedians' wild ride to fame and insight into their future plans, along with big laughs. This candid record of Kian and Jc's success documents a whirlwind experience full of highs, lows, and, of course, awesome pranks. Kian and Jc: Don't Try This at Home! combines the raucous tone that made the duo YouTube sensations with the sincerity and honesty Kian and Jc fans have been waiting for. Kian Lawley is an online and now offline star and personality whose most recent film, Shovel Buddies, premiered at SXSW. He starred alongside Bella Thorne and Alex Neustaedter in the AwesomenessFilms feature. Kian also costarred across from Zoey Deutch in Before I Fall, the adaptation of Lauren Oliver's YA novel being produced by AwesomenessFilms. Kian won back-to-back Teen Choice Awards in 2014 and 2015. Kian is scheduled to embark on a world tour with his roommate and frequent collaborator, Jc Caylen, later this year.